Looking to display his multitude of creative pursuits, comedian Josh Blue and winner of NBC’s Last Comic Standing 2006 contracted with VectorDefector for a fully custom website design & development. 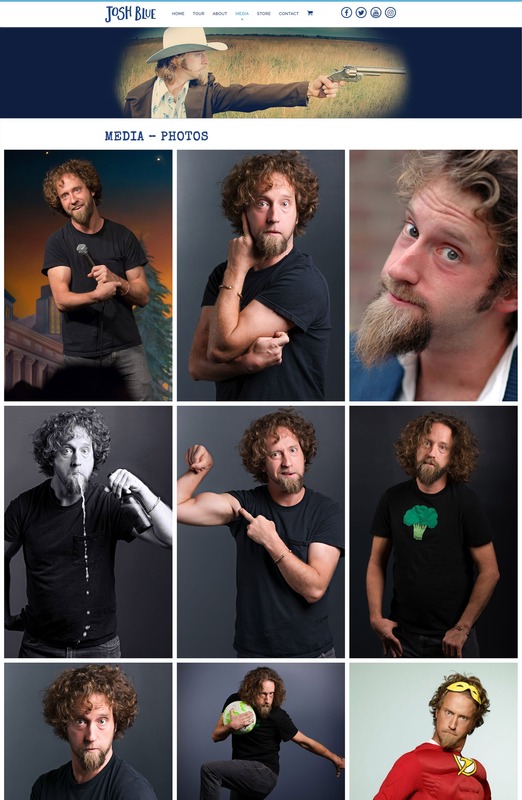 Between killing it on the Tonight Show with Jimmy Fallon, the release of his latest DVD – DELETE, his ongoing stand-up tour, advocacy work & more, Josh Blue needed a clean, easy to work website that allows his team to keep his fans up to date with his busy schedule. 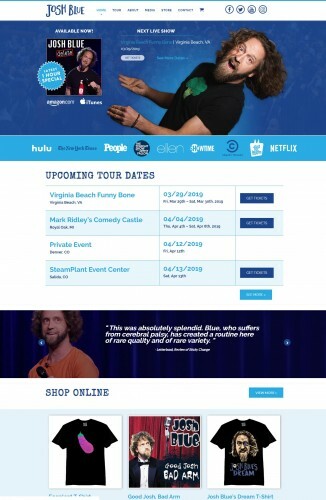 Focused on brand and easy-to-find experience, this mobile responsive website features: full customizable home page with animated slides, E-Commerce merch store, unique Media and Tour schedule sections, and a personal projects blog.